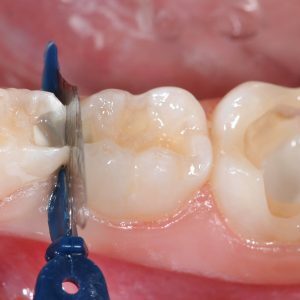 This article presents 2 case studies that demonstrate the human histological evidence required to make the claim of true periodontal regeneration using the laser-assisted regeneration (LAR) protocol. This article is peer reviewed and available for 2 hours of CE credit. This article reports on years of research by the TRAC Research team that focused on answering basic clinical questions concerning dental caries that have never been fully addressed or answered. This article is peer reviewed and available for 2 hours of CE credit. Todd R. Schoenbaum, DDS, discusses a scientific approach to the challenge of restoring implants in the aesthetic zone. 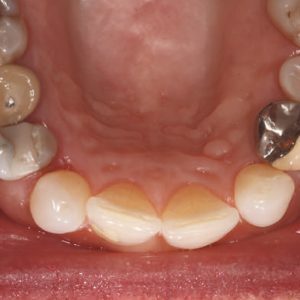 Ahmad Soolari, DMD, MS; George Kesten, DDS; and Amin Soolari, BS, CDRT; present a case report dealing with the challenge of replacing mandibular anterior teeth using dental implants. Jack Piermatti, DMD, discusses implant fixtures and abutment considerations. Todd R. Schoenbaum, DDS, and Chandur P. K. Wadhwani, DDS, MDS, focus on the screw-retained versus cement-retained restorative option in the aesthetic zone. James B. Brosnihan, DDS, provides a brief review and update on the inferior alveolar nerve block technique. Jack Piermatti, DMD, presents a case report focusing the discussion on treatment planning and dental implant prosthetic options.